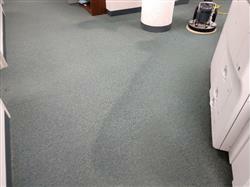 19″ AgiClean Pads are used to pre-agitate the carpet fibers. They are superior in liberating hard to remove soil from residential and commercial carpets. Pads are disposable after 1,500-2,000 sq. ft. of carpet. Great service and products. Cheaper than getting it direct from HOS. They work excellent on gdc.. great buy.